Evergreen wreaths transform the iconic holiday tree into a modern showcase for treasured handcrafted ornaments. 1. Invert tomato cage to sit flat. 2. Fluff boughs of 24” wreath and slide over narrow point of the cage. Twist some of the boughs around metal structure to secure wreath in place. 3. Install the other wreaths in the same manner, stacking narrower widths as you proceed higher. 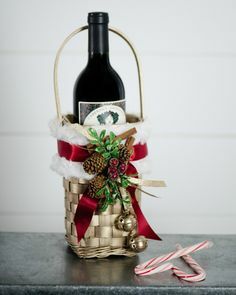 With wire clippers, cut excess sections out of the top two wreaths to size them for a sleek fit. 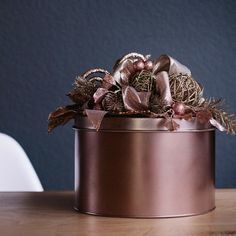 Bend the metal wreath frames to unite the cut ends. Twist boughs to connect and secure. 4. Trim the wire ends of the tomato cage that makes the top of tree to be the same size as the shortest end. 5. 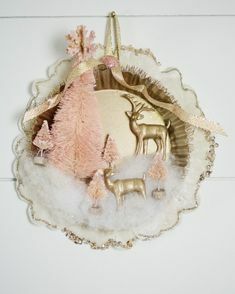 Heavily spray the wreaths with FLURRY to create a flocked look. Let the first coat sit about 15 minutes to slightly firm up. Apply an additional heavy coat to build up look. 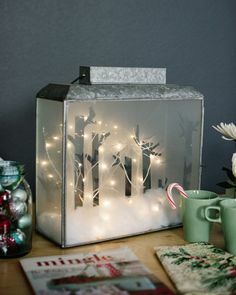 While FLURRY is wet, sprinkle opalescent glitter over boughs to add more shimmer. Let dry as instructed on can, about 5-6 hours. If desire added protection on flocking, apply 1-2 coats of Clear Finish MATTE. Remove clasp of silver ball ornaments. Slip the ornament over tip of your small finger, protected with a latex glove. Spray the topside with FLURRY. Sprinkle opalescent glitter on the surface while still wet. Let dry and recap. Holding the clasp of the clear glass ball ornament, mist surface with water from 18+” away. Immediately spray with Super Silver or 24KT Pure Gold. Let set for 15-20 seconds then lightly wipe off excess moisture. Paint does not adhere where droplets are to reveal underlying surface color in an organic pattern. Repeat steps in areas missed, if desired. 1. Drill a small hole into top of wood cutout. 2. Apply 2 light coats of Flat White. Let dry, then flip and repeat on other side. When dry, sand the surface with a sheet of paper to smooth imperfections. 3. 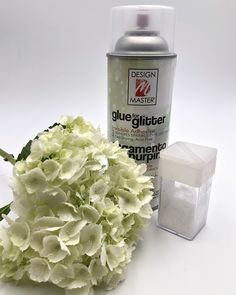 Spray Glue for Glitter and sprinkle with glitter or crystal flakes. Let Dry. 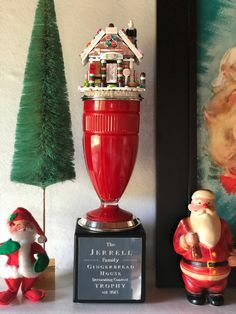 Turn ornament over and repeat. 4. When dry, adorn with a few rhinestones and string hole with ribbon to fashion a tie. Remove the clasp of the clear ball ornaments. After shaking can thoroughly, spray a small amount of 24KT PURE GOLD or SUPER SILVER into the ornament. Rotate ball in your hands allowing paint to coat the interior of the ornament. Let set for a while then rotate ball again to disperse puddle of paint. Repeat as needed to allow paint to dry. If too much paint remains in the puddle, pour excess out onto paper towel. Replace clasp when dry. Follow the instructions on Ornament#3 but instead, apply ColorTEX Flurry after painting cutouts white. Sprinkle with opalescent glitter while texture is still wet.